Street art reigns supreme in Melbourne, with unique murals scattered through the city. Stencils, murals and paste-ups are displayed on approved outdoor locations and more than often provoke an awe-struck response from visitors and locals. 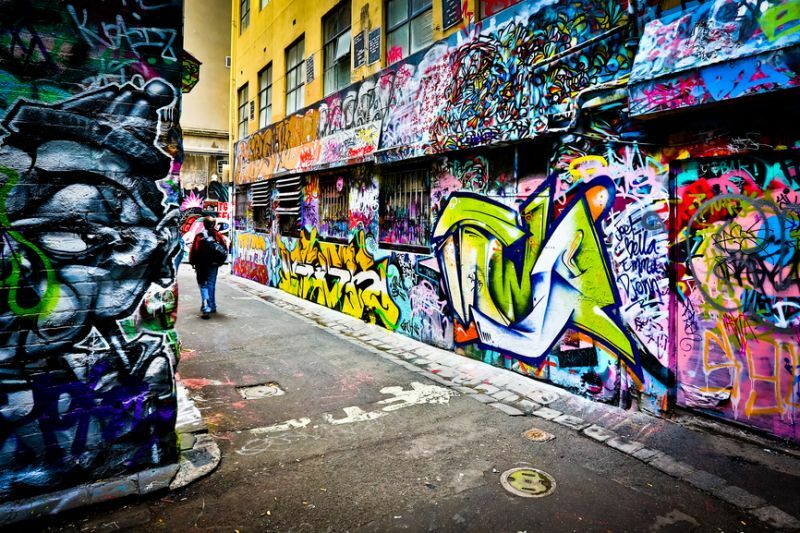 Melbourne’s public artwork is located throughout the city, in nooks and crannies, around street corners and down laneways. Inspiring and eye pleasing, these pieces of art have been deliberately placed to encourage cultural practices and attract viewers to appreciate the beauty of different art pieces.